Before and After—or Hello Gorgeous! 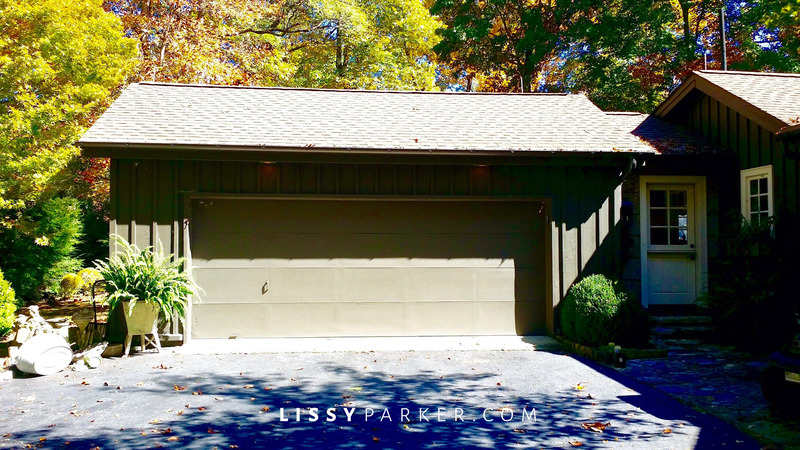 The garage door before—plain and boring. What a difference a year makes! My extremely talented architect just emailed me these before photos as a reminder. I admit it—sometimes I forget to take the all important before photos. But I am really good about during and after photos! I can hardly believe this is the same house we purchased. Keven Hawkins can truly turn crappy into happy! The new garage doors add a little charm to the front of the house. My favorite feature is the new entry garden that welcomes you to the front door and makes the front drive a little more fresh, flirty and fun. Garage doors after—new roof line and double the doors. Entry garden after—What a difference a few plants can make. Back deck before—nice but boring. New addition is located where the veggie garden containers were. The veggie garden after—what a difference a few months can make! All photos by Lissy Parkr for lissyparker.com. You are ‘welcome’ to borrow my photos—just please credit the source. The rail is my favorite part of the whole project!